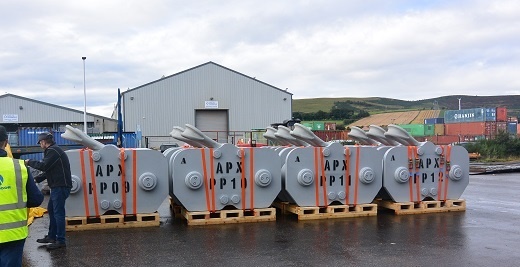 InterMoor completes delivery of all H-Links connectors for Appomattox FPS. 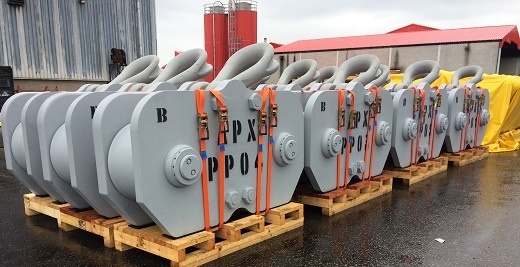 InterMoor completed the delivery of all H-Links connectors for the Appomattox Floating Production System (FPS) mooring lines. The Appomattox facility will be a four-column semi-submersible production platform moored using 16 mooring lines arranged in 4×4 clusters, in 2,255m (7,400ft) of water approximately 130km (80 miles) offshore Louisiana. 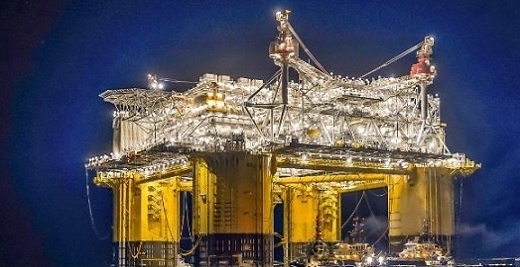 The platform will become Shell’s largest floating platform in the Gulf of Mexico. The H-Links were specifically designed for deepwater application and were machined, assembled, tested and delivered from InterMoor’s quayside facility in Aberdeen. Approximately 800 tonnes of steel were used to manufacture the 94 H-Links with a minimum breaking strength of 2,675 t (5,896,900 lbs). Each H-link weighed on average 7 t (15,653 lbs) and measured about 2m (6ft. 7in.). This order represents the largest order of H-Links by weight ever delivered by InterMoor and Oceanside. 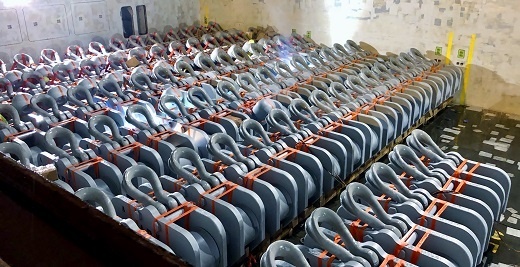 The H-Links will be used to connect polyester mooring segments to chain segments and between adjacent polyester mooring segments on the FPS mooring lines.